I have been living in Southern California for the past four months and have witnessed firsthand the results of one of the worst droughts in history. 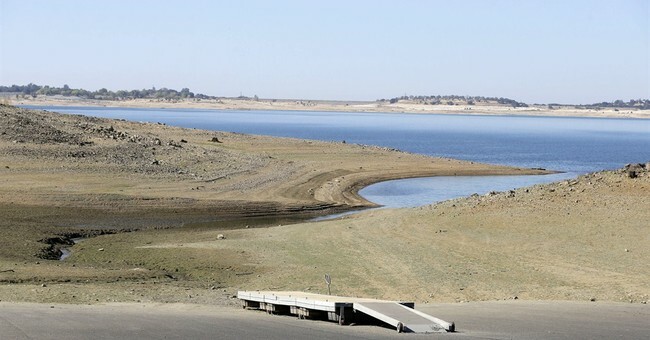 With little rain, California is dependent on reservoirs and out-of-state sources to provide the water needs of California consumers, business and agriculture. Now, Governor Jerry Brown has mandated a 25% statewide reduction in water use. Of course, the best solution is to raise the price of water to ration it efficiently, but that is politically not acceptable. So we end up imposing various restrictions on water use. It hasn’t helped that the radical environmentalists and state officials stopped building dams and reservoirs in California years ago. I’ve been told there’s plenty of water if we could just capture it in reservoirs. On Tuesday, I met with former Hewlett Packard CEO Carly Fiorina at a meeting with supporters, and she blamed environmentalists for what she called a “man-made” drought in California. She is seriously considering coming to this year’s big FreedomFest show in Vegas. She would be a good speaker because of her background in business. Other business leaders coming to FreedomFest this July 8-11 include billionaires Steve Wynn, Peter Thiel, John Mackey and Steve Forbes. For more details go to www.freedomfest.com. In case you missed it, I encourage you to read my e-letter column from last week on Eagle Daily Investor about the presidency, unions and money.